Increase your sales by stocking sunglasses for travellers who forgot to pack theirs! 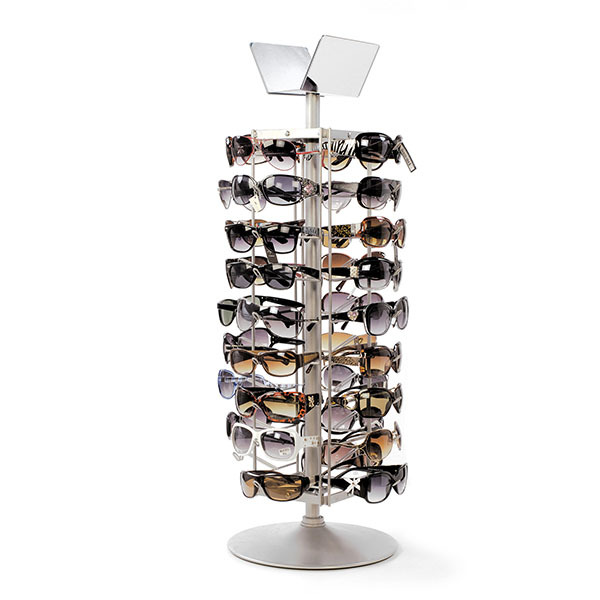 Space saving spinners holds 36 pair of glasses. Great for water parks, state parks, beach stores, and hotel gift shops.